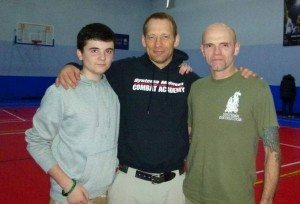 English Systema instructor Martin Wheeler began his martial arts journey at the age of eight, spending his formal years in Paignton, Devon in the South West of England. He began working in some of Torbay’s more challenging night clubs as a security doorman. This experience infused in him a solid acumen to the reality of street fighting. Martin Wheeler also holds many other high ranks in many other different martial art styles and systems. These include twenty three years of training in American Kenpo to reach the rank of Senior Instructor, a 4th Degree Black Belt and Judo Sho-Dan a 1st Dan Black Belt. He is also expert in European Boxing, Thai Boxing, Escrima Stick and Knife, and Filipino Pangamot. The pedigree of this english Systema instructor is long and solid having trained with many of the great names of the martial arts world, such as Kenpo Senior Grand Master Ed Parker, Kenpo Grand Master Richard “Huk” Planas, Judo Master Ed Kieshlich and of course Systema masters Mikhail Ryabko and Vladimir Vasiliev. Today Martin Wheeler is a Senior Instructor under the former russian Special Operations operative Vladimir Vasiliev. Martin is also head of Wheeler Systema based in Beverly Hills, California, USA. Martin Wheeler is regularly sort after by many military Special Operation Units, including Special Weapons and Tactics Teams and Boat Teams of Naval Special Warfare Groups two and four. These and other Special Operation Units worldwide have assimilated the Wheeler Systema methodology into their training regime. 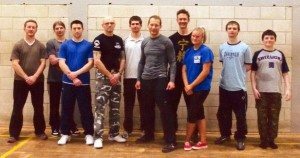 The teachings of Martin Wheeler is not isolated to the military services, it is also sought after by many Systema students and instructors alike. 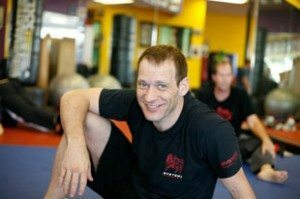 There is a very big call for this english Systema instructor all over the world to give seminars on his unique Wheeler Systema style. It is not unusual for Martin to draw crowds of over two hundred russian Systema enthusiasts and teach anywhere from two to four day courses on specific Systema related subjects. Martin Wheeler’s training is also sought by professional bodyguards to the rich and famous. Wheeler Systema has been featured on the big and small screen alike. 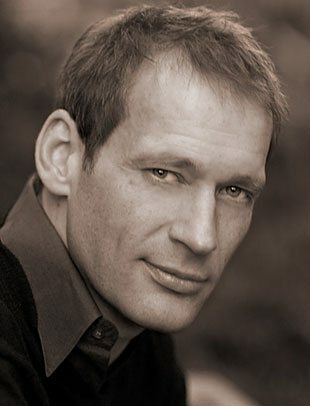 Martin has choreographed the fight scenes in the Richard Gere film “The Double”, featured in a series of three documentaries called “Secret Service Secrets”, aired by the Discovery Channel, which shows Wheeler Systema hand-to-hand combat demonstrations by Martin Wheeler himself. Martin has also produced a series of instructional DVD’s on specific Systema subjects, giving that distinctive Wheeler Systema twist to this already extraordinary russian martial art. To say the least, the english Systema community is very proud of this english Systema instructor.